Time to relive T-ara's schedule in Hong Kong last weekend as EunJung and HyoMin are here to fill us in on what happened during their visit. Check out their fun report below. "Ah! I got caught. Although my mouth is covered with the mask,my eyes are smiling." "Yes. 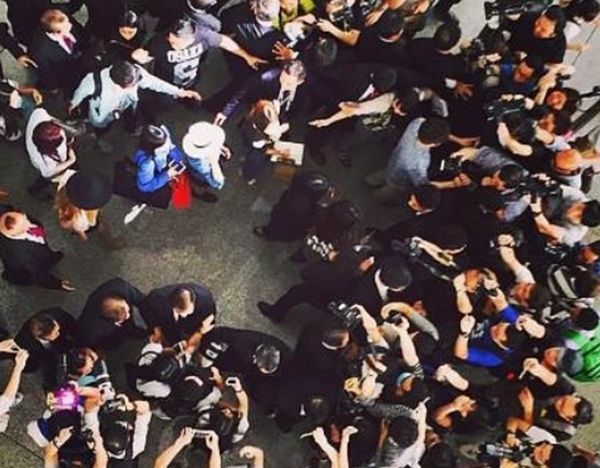 We received a passionate (welcome) in Hong Kong. Thinking of the moment we arrived at the airport, I still get goosebumps." "Hello.This is 'T-ARA' Hyomin.You’re asking whether I have an ‘issue’? Yes, itshu!!" "On the 7th~6th of this month, we spent a hot day in Hong Kong. 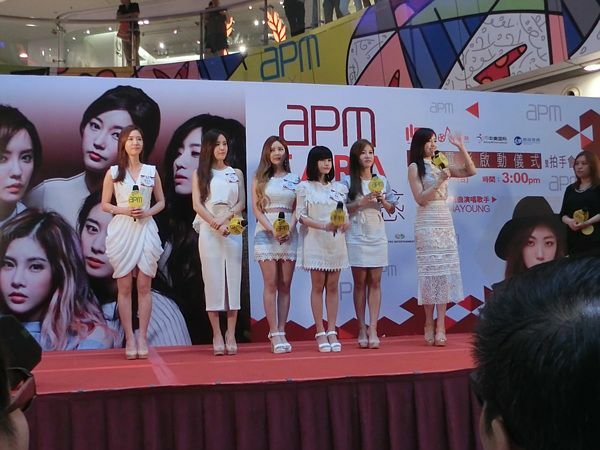 We participated in the Hong Kong 2015 Youth Music Festival and had a production press conference about the T-ARA web-drama. You’re curious about our trip report, aren’t you? 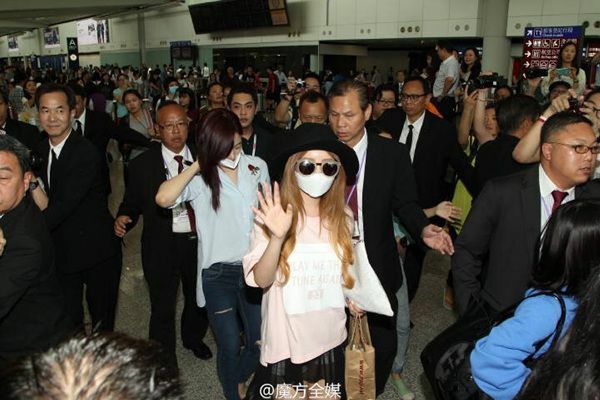 From here onwards, follow me~ "
"This picture is from the airport. More than 800 fans have gathered. And around 40 local reporters were there." "We first went into our rooms. And quickly unpacked our baggage. 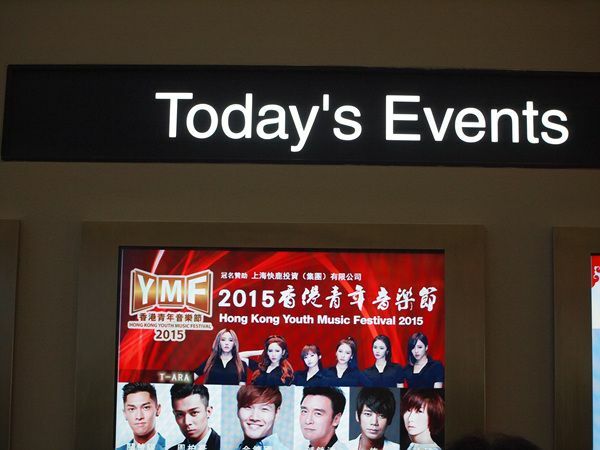 The next course?^^"
"Tada!I’m in front of the 2015 Hong Kong Music Festival venue. T-ara are at the top (in the picture)"
"We also spotted Kookie oppa from Running Manㅋㅋ"
"Here is the waiting room. Eunjung unnie,you’re already preparing yourself?" [T/N: implying Eunjung is looking fatally attractive]"
"At the back, I was praying “I hope my makeup looks good.” "
"Now, shall we have fun!" We sang a total of 3 songs consecutively." "The atmosphere at the venue? You’ve never heard the Chinese singalong, have you? "Strangely enough, you can hear (us speaking) Chinese." "It makes us even more excited. That we won the ‘Asia idol’ award. " "And so, we were able to be interviewed by so many reporters like this. We’re sincerely thankful to our Korean and Chinese fans. Really, really." 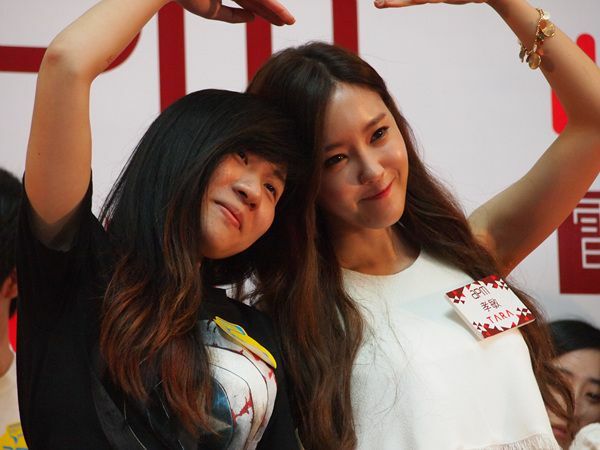 "So, up till now,this was Reporter Hyomin with you. Eunjung unnie will be telling us about the 7th of May event~"
"Hello. 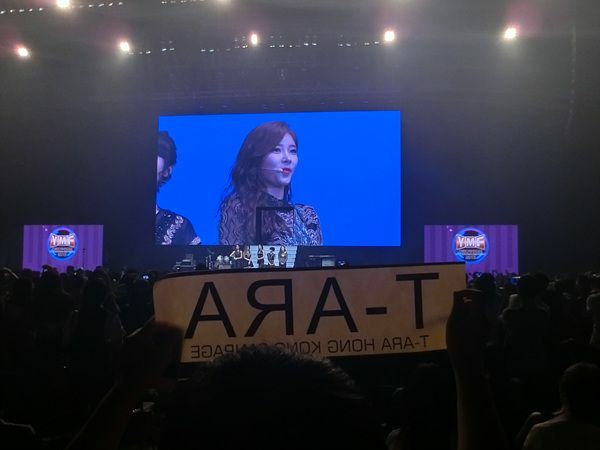 This is ‘T-ARA’ Eunjung and ‘Elsie’. I will be vividly reporting to you about the the press conference that took place on the 7th this month. Trust and follow me." 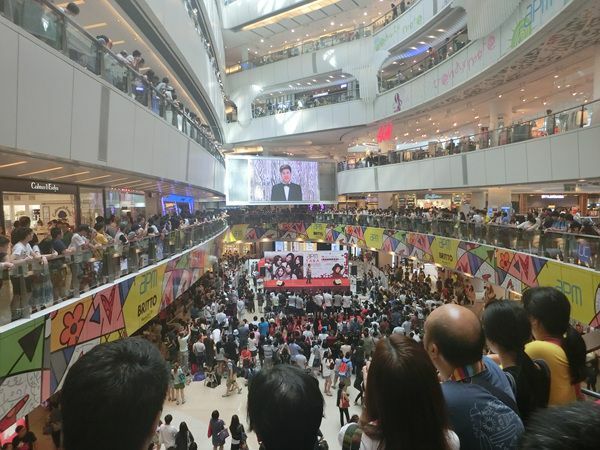 "Here is one of the shopping malls in Hong kong." "Are they having a blowout sale, by any chance?" "So many people have gathered. " 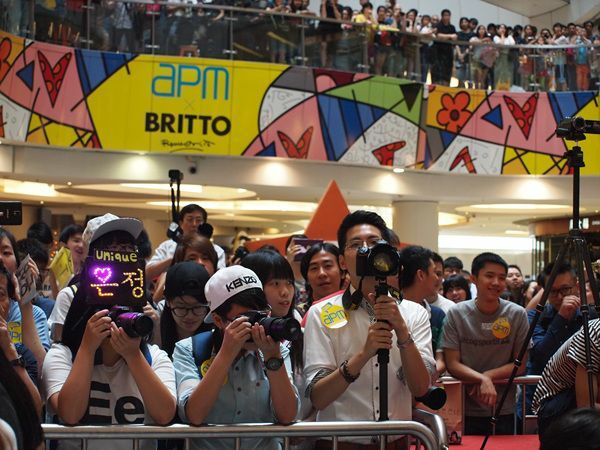 "Ah, spotted an Eunjung fan"
"Yes. This place is where T-ARA’s web-drama press conference took place. 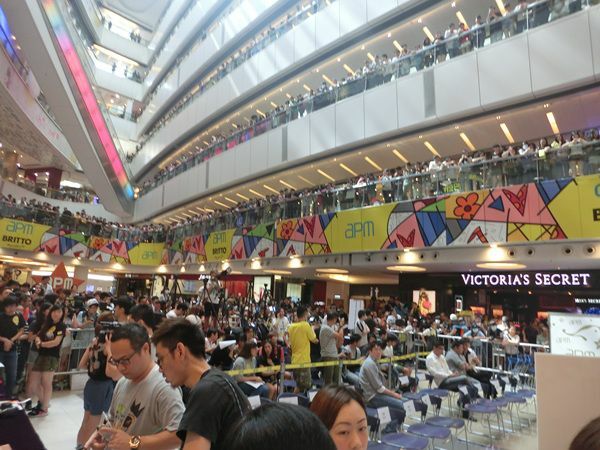 So many Chinese fans have gathered here to see us." "My facial expression control is no.no.no. my face looks stiff." "We’ve truly never felt this welcomed in a long time." "An interview took place as well. " "shall we call this self-luminous~"
"Wait a minute!! You’re asking what T-ara’s web-drama is about? I’ll explain." It will be in omnibus format." "‘Black Holiday’ which played on screen that day had Qri unnie as the lead. You can trust me on this, It’s fun. " "Oh right, 'Five Doll’s Seunghee, too, will have an important role in the drama. To give a hint, the mediator that links all 6 stories together?" "So! It’s photo-time now. Everyone line up"
"“Rambbo unnie, the best baby face”"
"Everything we did in Hong Kong will remain to us as unforgettable memories. We’re also waiting for the day we meet with our Korean fans again. 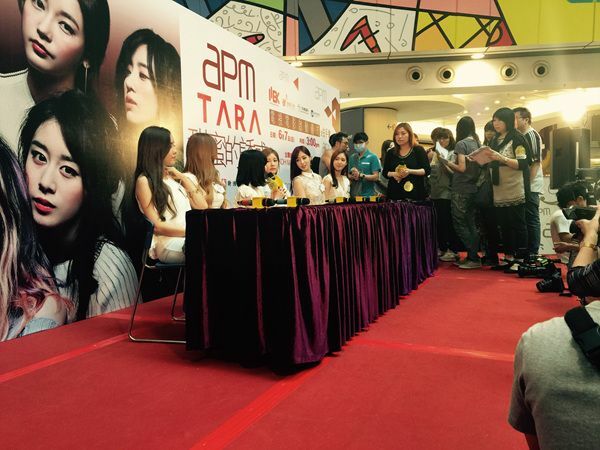 This was Reporter Eunjung with you." For those who missed it, T-ara was in Hong Kong for the 2015 Hong Kong Youth Music Festival, and their Press Conference for their web drama.